Valentine’s Day isn’t the only time to send love to those special people. Here’s a card you can send any time to let someone know you are thinking of them! The hearts are from a discontinued set by Stampin’ Up called Hearts a Flutter, but this set, All Heart from Pattern Happy, is so cute and would work great! The hearts embossing folder is from The Paper Studio at Hobby Lobby, but I think it is discontinued, too. 😦 Here are a couple of options that you could use – this one is from Kaisercraft and this one is from Cuttlebug. Emboss a piece of pool colored card stock with the heart embossing folder and attach to a white card. Stamp 2 different hearts with pool ink on white card stock and stamp a 3rd heart with red ink in the center. Ink the edges of the panel with pool ink. 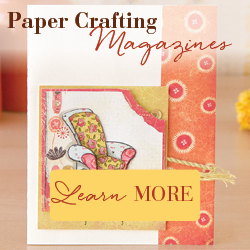 Layer to a larger piece of red card stock and attach to the card. Attach a piece of red polka dot ribbon to cover the place where the 2 pieces meet. Attach 3 red sequins to the heart panel. Stamp the sentiment with red ink on white card stock and punch with an oval punch. Layer to a larger oval punched from pool card stock. Then layer the piece to a scalloped oval punched from red card stock. Attach to the card with foam tape. You can make this card in any color combo and it’s always a good time to send love! This entry was posted in Cards, Stamping, Valentine. Bookmark the permalink.